16 in-stock new and used RVs have been marked down to incredible prices! We have big things happening in the new year, and we need to make more room. Take advantage now of these specially marked down RVs. 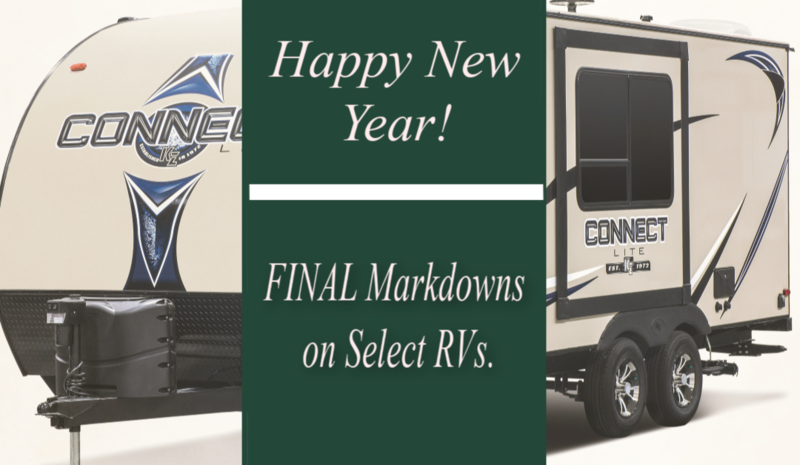 Select RVs marked “On Sale Now” in inventory.